Held in the Design Festa Gallery in Harajuku, Tokyo from 9th to 11th April 2015, the HYPERFLAT COLLECTIVE Exhibition featured 9 designers from different countries. Curated by Singaporean Designer Josiah Chua, who is also based in Tokyo, the designers each picked an anime, manga or game they are inspired by from childhood and created a product out of it based on the concept of SUPERFLAT, an art movement founded by Takashi Murakami. The anime I picked was Cardcaptor Sakura. One distinct icon of the anime was the Clow Cards, which intrigued me with its intricate and ancient-looking design. 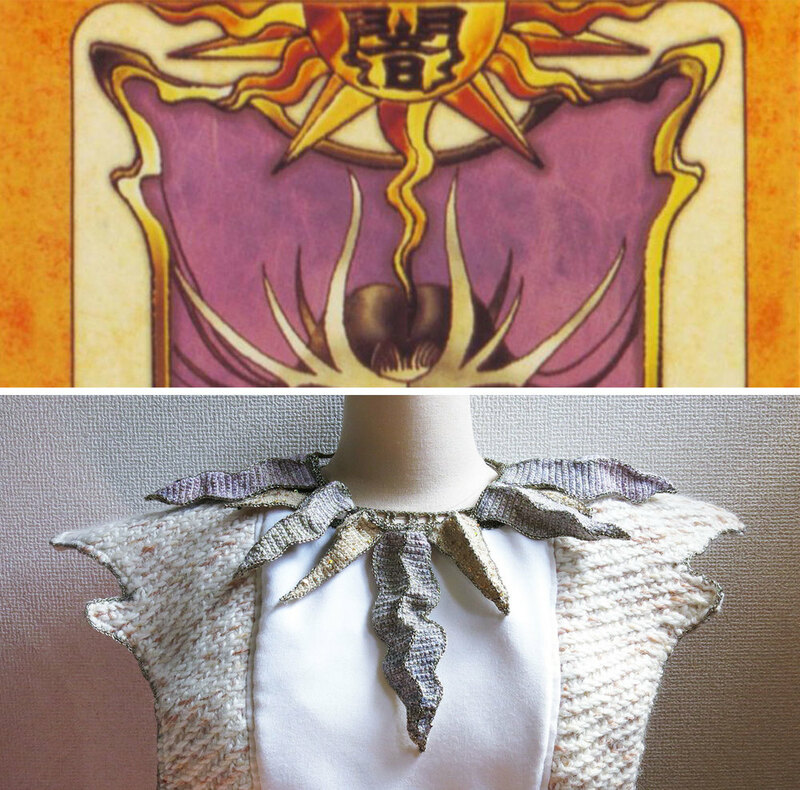 Aligning with the SUPERFLAT concept of drawing shapes and silhouettes from a 2D image into 3D, the shoulder piece of the dress imitates the curved frame of the Clow Card. The side of the dress has circular cut-outs with a suspended 6-sided star, modelled after the Clow circle. A necklace inspired by the Sun icon at the top of each card was also created for the final touch. The room was decorated to look like the room of an ‘Otaku’- but this exhibition aims to diminish the negative stereotype people generally have against Otaku. Geek Fashion making use of anime or game characters are now picking up to be a trend. While most people think anime-related fashion equates to Cosplay, HYPERFLAT aims to find the middle ground between cosplay and fashion. To learn more about Takashi Murakami, check out his works here.